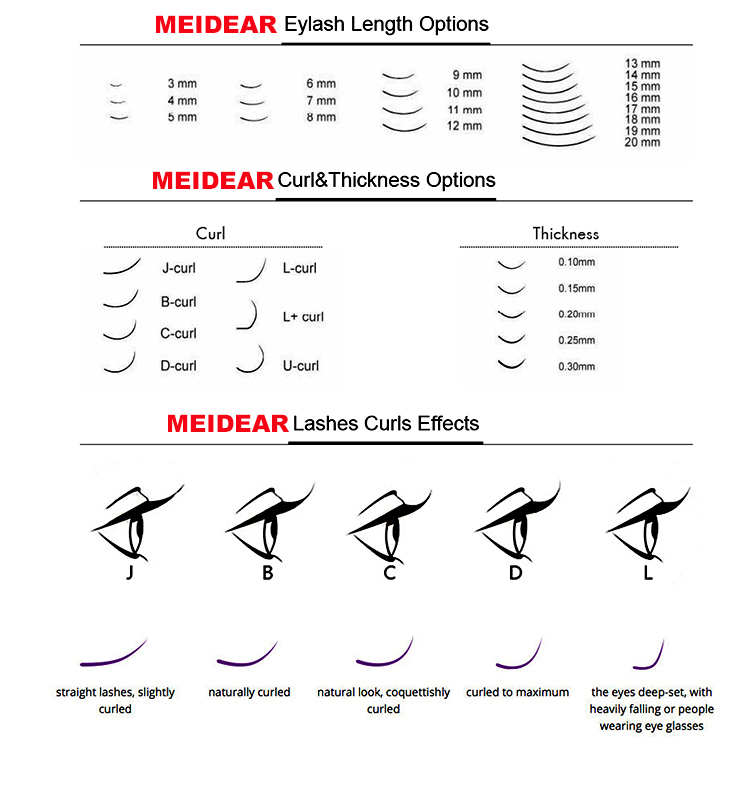 Meidear eyelash factory supply a large range of eyelash extensions. Including silk eyelash extensions, they are matte color and have a natural looking. 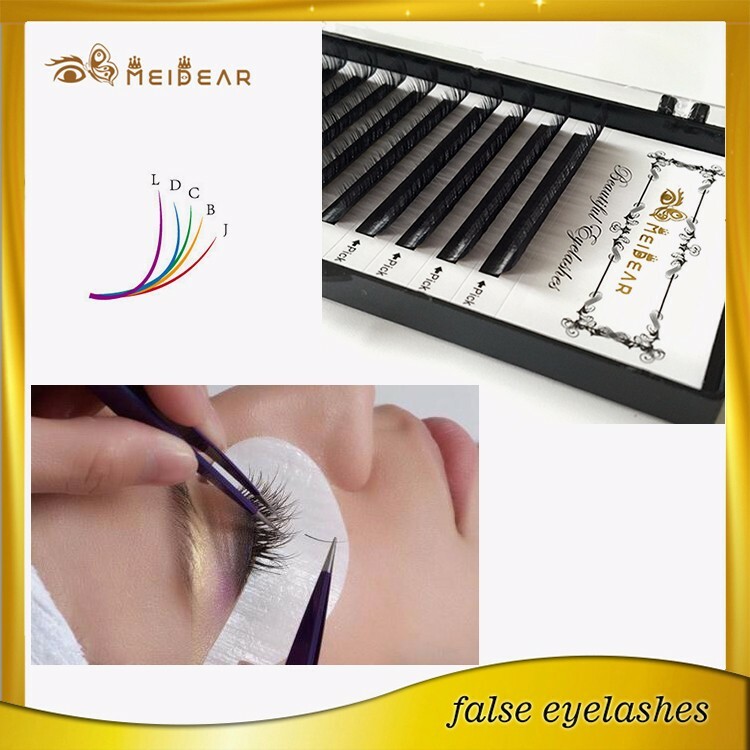 Faux mink eyelash extensions, they are bright color and have a dramatic looking. 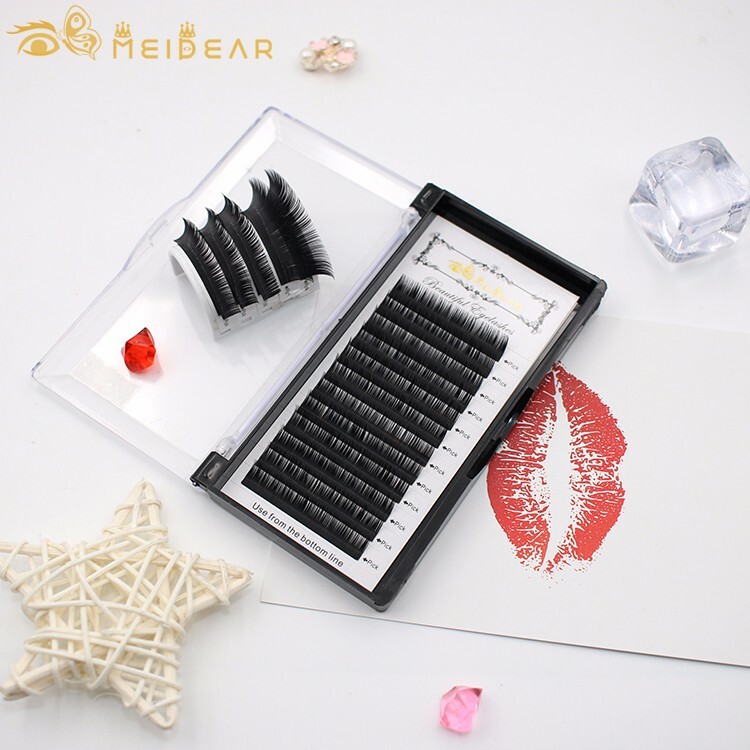 Meidear eyelash extension factory have many colors eyelash extensions. 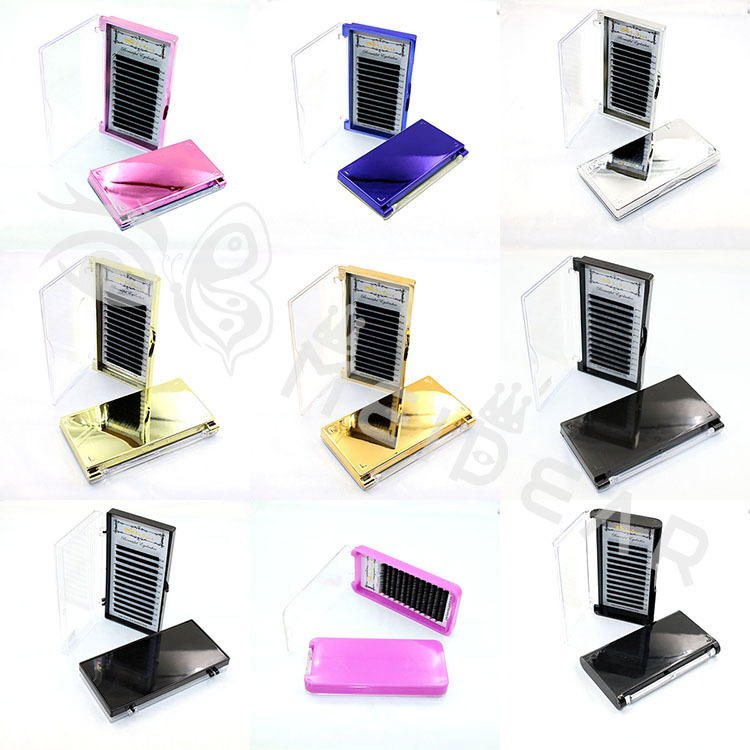 Our eyelash extensions export to all over the world for many years. Eyelash extensions are individually applied false lashes that inexplicably de-age a face more than a needle ever will. 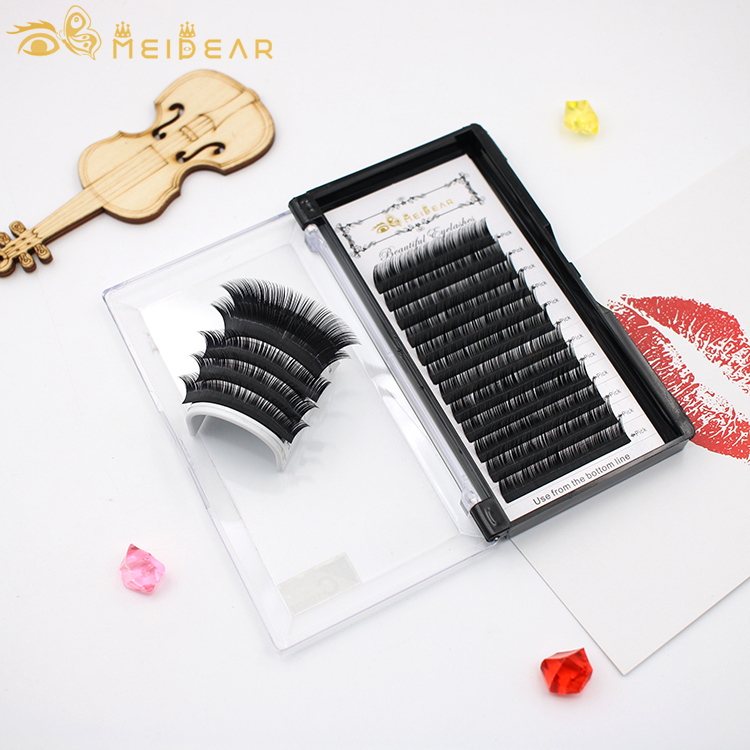 The eyelash extension last up about one month (shedding naturally with customers’ real lashes), but it is not cheap. A wedding or a couple of big parties, make them a more justifiable investment. 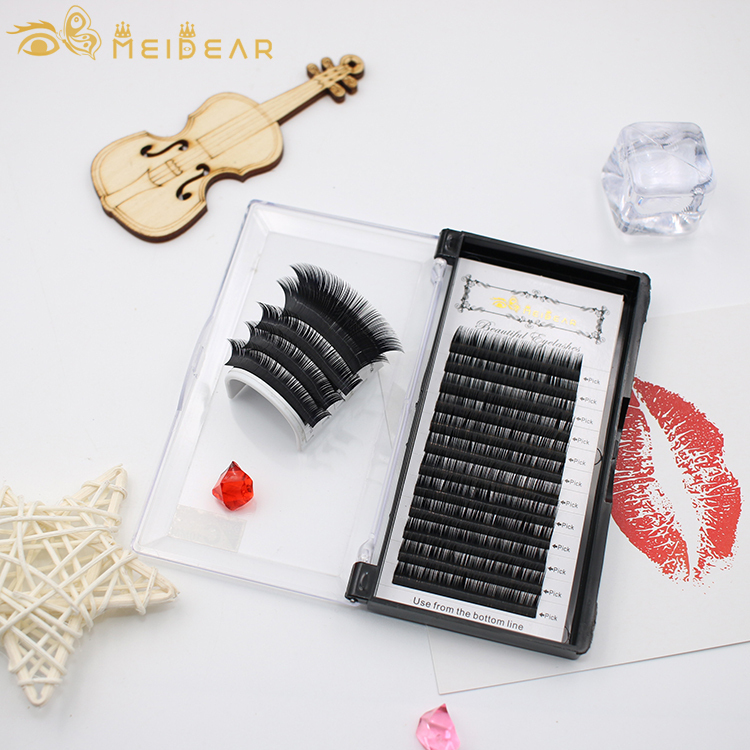 Meidear eyelash extensions offres eyelashes of all lengths and thicknesses 0.03, 0.05, 0.07, 0.10, 0.12, 0.15, 0.20, 0.25, 0.30 and I, J, B, C, CC, D, L and LC curls. Add impact to your eyes with semi-permanent meidear eyelash extensions. 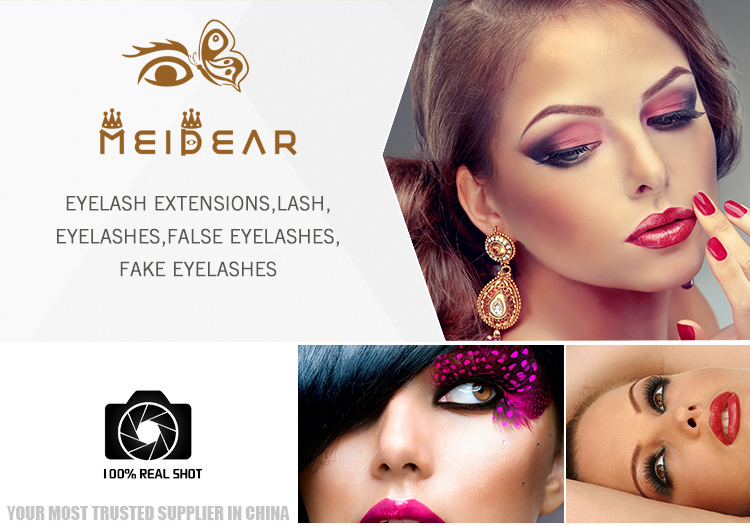 We use highest standard of eyelash extensions, Meidear eyelash extension factory is proud to offer you only the best! 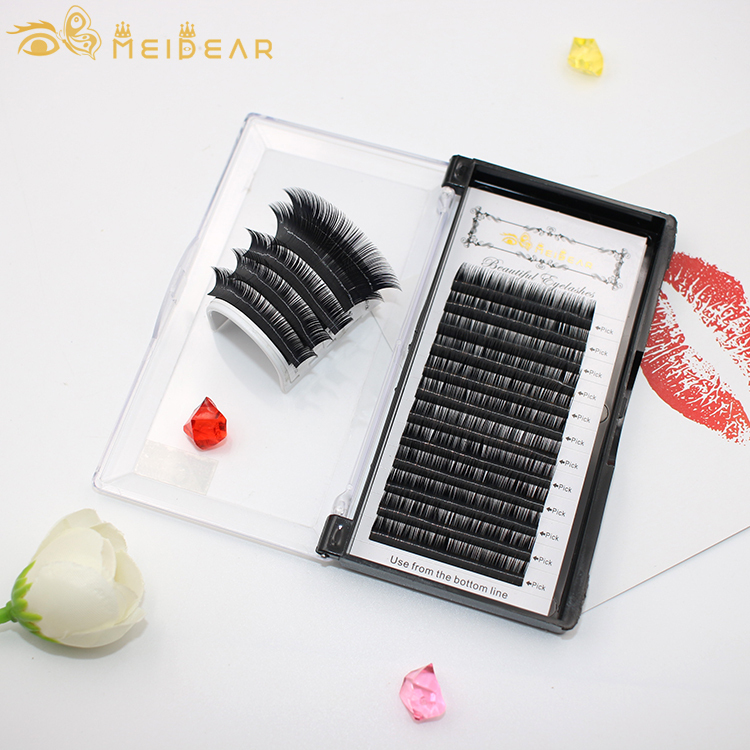 Each lash is individually applied, resulting in a completely natural look and feel. Lash application will last for up to 2-5 weeks, depending on the care and life cycle of your own natural eyelashes. eyelash extensions are a popular new service and product that lengthens and thickens your own natural eyelashes. eyelash extensions are single strands of synthetic eyelashes that are curved to replicate a natural eyelash. 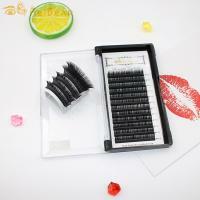 They are applied to each individual natural eyelash one by one for a natural, beautiful and luscious look. Eyelash Extensions are perfect for special occasions or for day to day wear.